Item # 304368 Stash Points: 2,399 (?) This is the number of points you get in The Zumiez Stash for purchasing this item. Stash points are redeemable for exclusive rewards only available to Zumiez Stash members. To redeem your points check out the rewards catalog on thestash.zumiez.com. 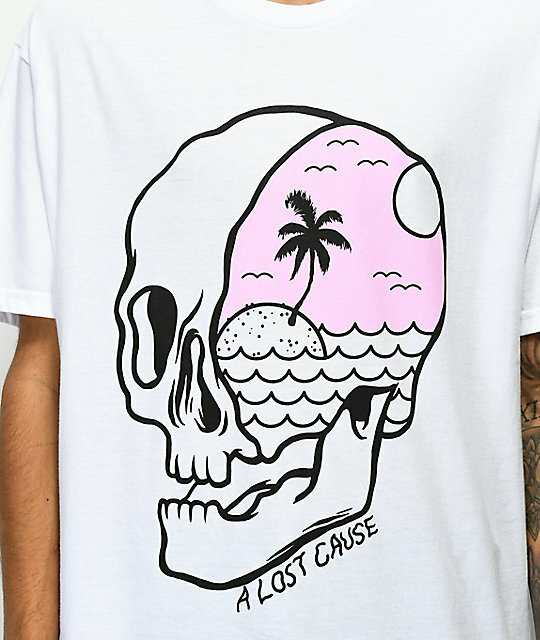 Get lost in the paradise of your own mind with the Eternal Vacation white t-shirt from A Lost Cause. 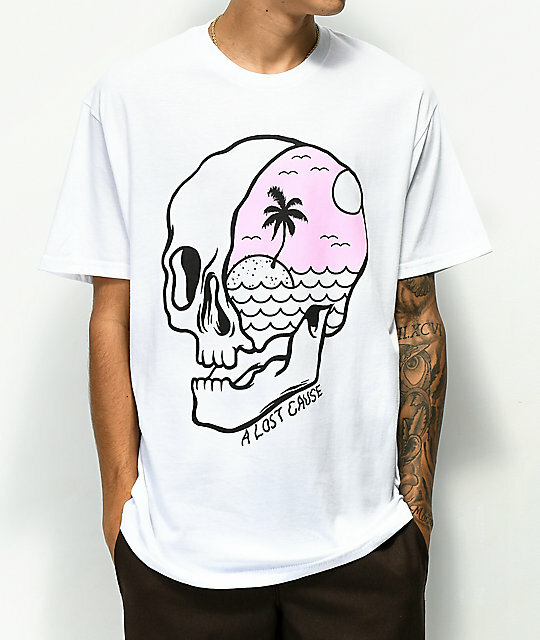 Cut from 100% cotton for a classic fit, this crew neck tee features a large "A Lost Cause" chest graphic of a skull with a tropical island in the cranium. Eternal Vacation White T-Shirt from A Lost Cause.